X-Ray imaging is the use of electromagnetic radiation in order to generate an image of bones & tissues within the body. X-Rays are commonly known for their use to diagnose potential broken bones and torn ligaments. However, this modality is used in various medical processes. For instance, CT Scans combine the use of X-Ray imaging with advanced computer imaging to create a 3-dimensional view rather than traditional X-Ray’s 2-dimensional view. Additionally, X-Rays & other radiation are used in radiation therapy for cancer patients. X-Rays used for diagnostic purposes allow physicians to see inside the body to address potentially harmful faults the body may have. 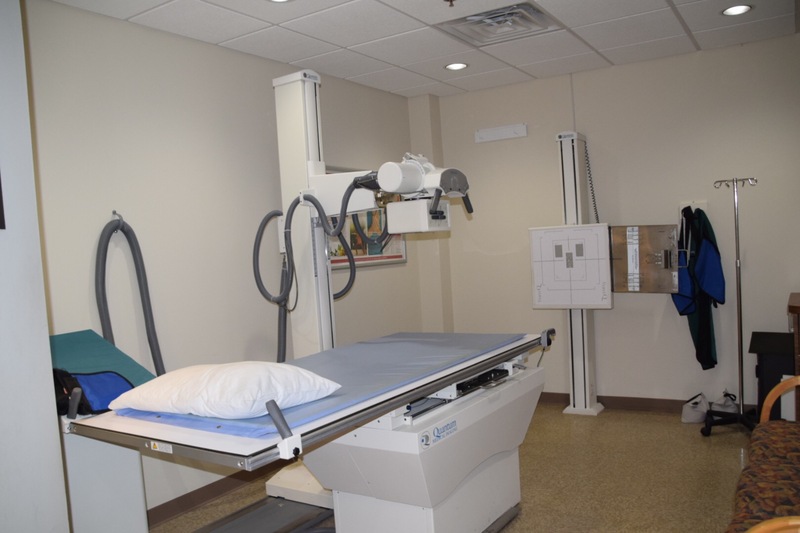 Progressive Diagnostic Imaging provides X-Ray Imaging services for its’ northern New Jersey area patients. How Does Diagnostic X-Ray Imaging Work? X-Ray imaging, as stated above, uses a source of high-energy radiation sent into the body and absorbed by a radiation detector on the opposite side. Because radiation is absorbed differently by different parts of the body an image can be generated. For Instance, bones absorb more radiation than muscle and fat. Therefore, physicians are able to produce a clear image of a patients bone structure without interference from the various tissues that surround these bones. Although X-Ray imaging uses high-energy beams of radiation, it is considered a small amount and does not pose an immediate risk to the patient. Progressive Diagnostic Imaging offers the Konica Minolta Regius Digital X-Ray imaging machine. This model is a high-performance, single bay system, that can process at speeds greater than the competition. This means faster results and perfect quality. Depending on the type of X-Ray imaging needed, the patient can be standing or lying down on our ultramodern Quantum imaging table. The most patient-friendly and comfortable table in production. Doctors can have their images and reports sent immediately to their computer or if they prefer, we can make 8 ½ by 11 size images on paper to place in the patient’s chart. Ready To Book Your X-Ray Appointment?